Offering a unique VoIP solution that works, provides value to your customers, and fits within your budget is challenging. But it’s necessary in this highly competitive market. If your goal is to sell VoIP services or hardware, the amount of infrastructure required and the cash flow necessary to keep up with constant innovation in the industry is significant – maybe even unattainable. A white label partnership might be the solution you need. As a white label partner, you are able to legally resell another company’s product or solution under your own company name. It enables you to provide services powered by experts while using your own branding instead of having to invest in infrastructure and development of your own service. 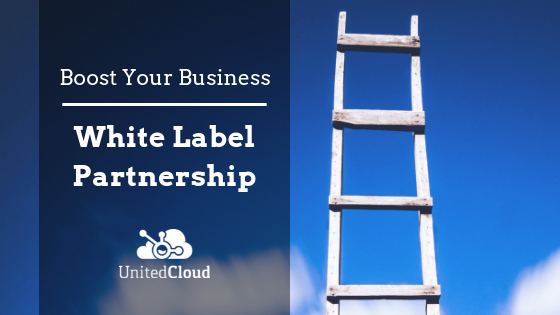 As a white label partner, you are able to deliver a quality product and focus on your business. Skipping the costs of developing your own services, research and development, IT structures, server costs, and technology developments can make a huge difference in your business cash flow. Offer your customers a quality working solution developed by experts. You get to focus on providing premium customer service and support. No need to pour money into infrastructure. That’s what we’re here for! As a white label partner, you have complete freedom to brand your business and the products you sell. UnitedCloud offers a full suite of solutions for our partners to support your hosted VoIP white label service. Our solutions include Hosted Business Phones, Residential VoIP, SIP Trunking and Internet Fax services. Our network is truly geographically diverse with full datacenter installations in Vancouver, Calgary, Ottawa and Montreal to deliver peace of mind and full redundancy. Our billing software partner provides UnitedCloud white label partners with low-cost hosted billing software. It enables a quote-to-cash solution to help you run your entire hosted offering, from quoting, variable usage rating and fixed monthly charges. Optional linking to your payment processor and QuickBooks Online is available with a full commissioning module. a full suite of forms and everyday useful integrations. Contact UnitedCloud to see how our white-labelled or agent-branded services could support your business and your customers. We are here to offer the infrastructure and the service while your team offers the entire business solution. We know that developing infrastructure is difficult. Rely on our experts to provide powerful and dependable infrastructure and support at every critical stage. Rest assured: your customers will receive the best business phone solution.